This year, the PSO is sponsoring a team to participate in Delaware's Annual Bird-A-Thon. The funds raised this year will go towards Red Knot conservation efforts. This year's team -- PSO's Knot Messing Around -- is Brian Byrnes, Barry Blust, and Mike McGraw. You can donate a lump sum or pledge an amount per species seen by the team. To donate a lump sum, click on the "Donate Now" button above. To pledge an amount per species seen, contact Brian. He will then notify you once the Bird-A-Thon is over how much you owe. or send a check to PSO, 2469 Hammertown Rd, Narvon, PA 17555. 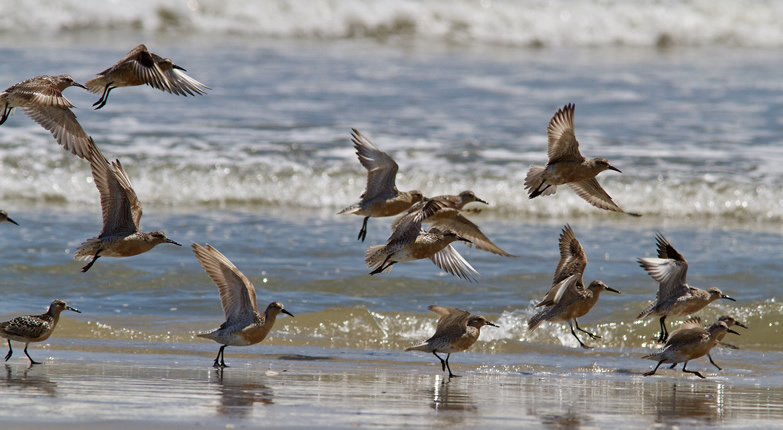 For more information about the Bird-A-Thon and the Red Knot conservation efforts, click here.